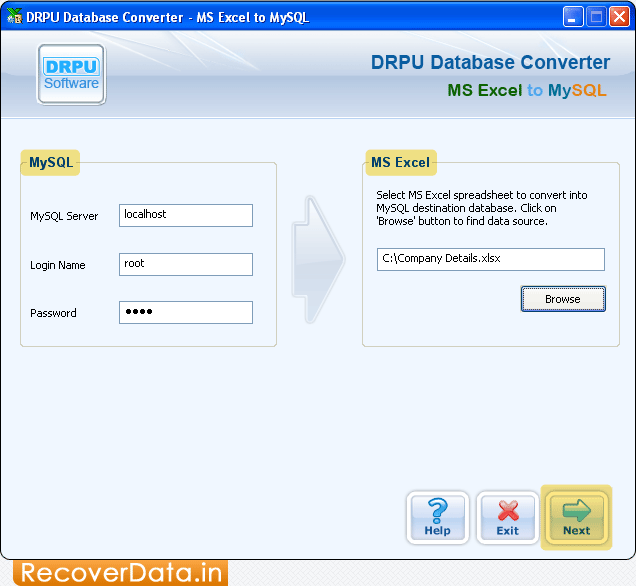 Enter MySQL Server, Login Name, Password and select MS Excel spreadsheet which you want to convert into MySQL database. 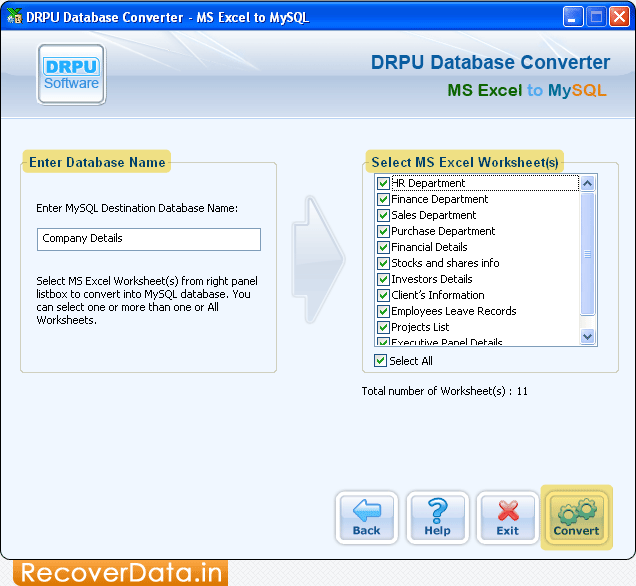 Enter Database Name and Select MS Excel Worksheets(s). Now click 'Convert' button. 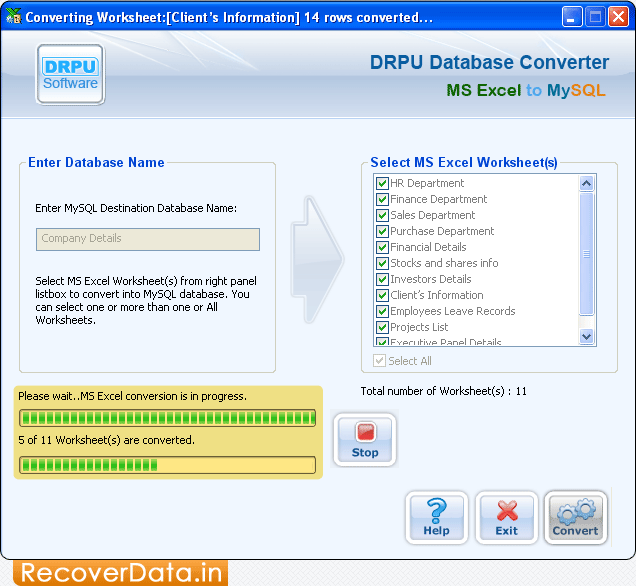 Wizard shows current status of database conversion process. 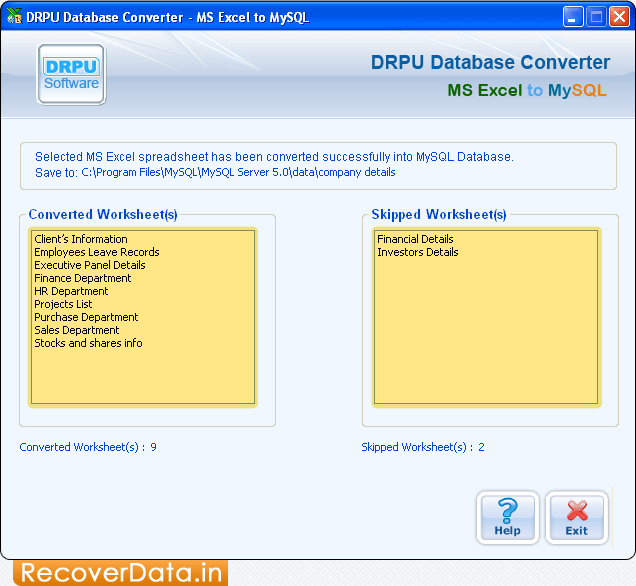 Now, MS Excel spreadsheet has been converted into MySQL database.